As we awaken and develop in our lives, we bump into many pre-programmed genetic influences. The pre-programmed genetic influences that pertain to our power, well, these are no problem and we have chosen to have them reinforced by our genetic code to help serve us well in the current lifetime. But the negative genetic patterns operate like traps that ensnare our growth and cloud our inner knowing. Some of them are from our physical ancestors and others are from past lives. 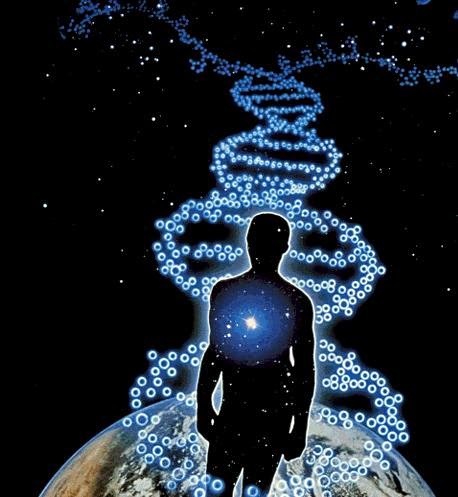 In order to fulfill our greatest potential we must release control of these negative genetic codes, from hereditary and past life programming, and transfer control back to the Soul. The automated emotional reaction – this means that you are not questioning something, and are automatically taking it in as truth without any internal personal review, just because that is what your family has taught you. Emotional defense of your parents’ view points, attitudes and beliefs – this means that you are subconsciously afraid to step out of the tribal view and review your reality from your own position. There is no protection in believing what others tell you to believe. We are only truly safe when we think, feel, believe and know for ourselves. Physical characteristic similarity with a family member – this means that you are processing something associated with them, learning through their blueprint and need to make sure that you can own yourself and your life no matter how similar you may physically look to the rest of the family tribe ! Genetic illness, “inherited” from the family – this means that you are choosing to participate in the family karma by taking on their beliefs, which then express themselves through certain types of disease. When the beliefs that are connected to the illness are changed then the propensity to carry on the diseases, that other family members have passed on, will cease.